I love what fresh veggie juices do to my wellbeing. My parents have had a juicer for a while now and have been using it once in a while to make fresh veggie juices to supplement their eating. For the past few weeks, every time I would go visit them (almost every Sunday) I would use their juicer and make a big batch of veggie juice, put it in bottles, and take it back home with me to drink every morning for the next three days as a nice way to start the day. I don’t actually do detoxes or cleanses. I never thought I would be do a juice cleanse either. 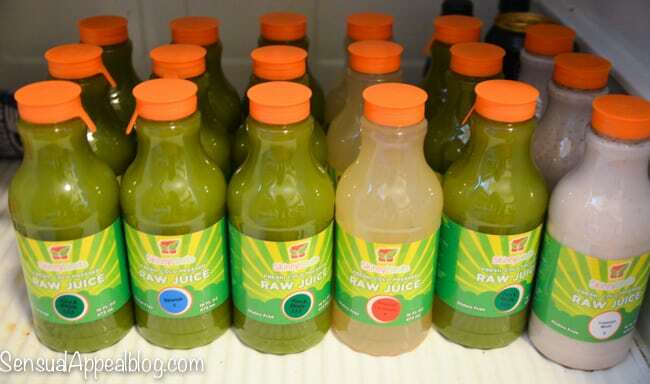 However, upon learning about Skinny Limits juice cleanse, and their amazing raw and alive juices, I thought I could give a 3 day cleanse a go. I wasn’t going to be very strict on it simply because I knew how I might react afterwards (aka binge central, not fun). Done it before, would probably do it again. What is Skinny Limits all about? What makes Skinny Limits different from other juice companies? I got the juices on Wednesday morning and I was excited to get started. I did have an intention to go through the full three days of the cleanse but I wasn’t going to do it extreme-way. If I felt I really needed to eat real food, I would. Intuitive eating still is a thing for me, ya know how that goes. Wednesday I did a half day and then ate the rest of the day because I got a really bad headache and just couldn’t deal with it. I am weak. Haha. Thursday I did a full day! It wasn’t easy but it wasn’t as hard as I thought. I bet it would have been easier if I actually left my apartment and did stuff outside but I worked from home. This was also the only day that was a full-on success. Friday I did most of the day and some snacks. I went out Friday night for my best friend’s birthday but I didn’t drink alcohol but I felt I needed to eat a protein bar before leaving so I wouldn’t feel weak or hungry while we were dancing the night away. Thankfully, we didn’t stay out too late so drinking water all night was fine and I wasn’t hungry. The whole thing was very bearable and when I allowed myself snacks during the day when I felt I needed one, it was VERY easy to juice for the other meals of the day. I didn’t feel weak or faint or irritable at all, except that first day on Wednesday. The reason why I started eating again on Friday was because I felt like I just had all liquids in my stomach and the feeling bothered me. I also became very phlegmatic which is a given since all of the toxins were coming out of my body. It was an annoying feeling though. I do wish I stuck through it and did the full three days. I do think I want to do this again when I actually have a day job so that I am not stuck at home without things to do and all I can think about is whether I should drink another juice or whether I should eat food. I do think the cleanse is very doable especially if you allow yourself snacks to help you get through it. I’m not an extremist so this worked for me. I ended up feeling a more more vibrant and healthy and energetic. I did this with the hope of resetting my eating behaviors and cravings. I feel that I now crave more real foods and fresh foods. I am excited to eat more veggies and fresh fruit, which is exactly what I had hoped to get out of this experience. I don’t know whether I lost weight during this particular four day period since I don’t own a scale but my mom said I looked brighter and glowy when she saw me on Sunday. That’s a good thing, eh? I believe that Skinny Limits is a wonderful company with a fantastic product that many other companies do not have. I recommend you to try the three or one day cleanse out for yourself and see the benefits for yourself! Make sure to support Skinny Limits on Facebook & Twitter! 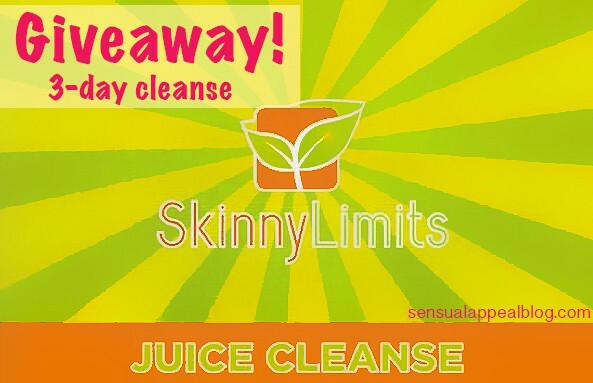 You can now win your very own 3-day juice cleanse from Skinny Limits! Enter to win in the Rafflecopter below. The giveaway is open until September 30th 11:59PM! Winner will be chosen and emailed. False entries will make you disqualified. Thank you and good luck! Disclaimer: This is a sponsored post for Skinny Limits. All opinions are my own. I drink juices during the day sometimes to get in some vitamins and detox but never have done a full multiple, day cleanse and would LOVE to! I have never done something like this, I would lOVE to! Sugary juices I rarely drink, but a lovely healthy juice like this I could drink every day! I love these juices and would really enjoy doing a cleanse! Have really wanted to try this cleanse! I’ve never juiced, but I’d love to try it out! I have never juiced, but have always been curious about doing a cleanse. I just don’t know if I could go 3 or 4 days without food!! The juices do keep you pretty full and satisfied, I also went with a fiber supplement to help. That first day can be a little tough, but after that you feel great! If you wanna dip your toes in the water, you could try eating a raw diet along side a cleanse. That way you’re still eating and you can judge how your body feels from there. I never have but I would love to try! Once a day, five days a week. Veggies are expensive but every juice I make gets me that much closer to my health goals and gives me that energy pick me up that I need for the day. I don’t juice very frequently but I want to start getting back into it! goal is 3x per week. I’ve never “juiced”, but I just received a Blendtec for a wedding present and hope to make some whole juices soon. Awesome!! LOVE green juice. Cleanses scare me….I’ve always wanted to try one but going that long without real food is a little intimidating. I’m pretty sure i wouldn’t want to do a full-on cleanse, but i would like to have these around for some fun healthy drink options! i literally made a juice this morning! but it was super random because i had fruits and veggies going bad so i wanted to use them up. it’d probably been 2 months before that! as often as possible…but in reality about every 3 to 4 months. I don’t have a juicer, so I only occasionally buy pre-made juices. If I did the 3 day thing, I think I may have to incorporate a few healthy snacks if I felt I needed them, like you did! I used to juice at least once a week, but since I moved with my tiny kitchen I haven’t juiced once! I’ve never juiced but I want to try so badly! I want a juicer for Christmas but I also want a garmin… so I have some decisions to make. I always have good intentions to juice more, but I’ll do it like once or twice, then give up once I have to clean my juicer and kitchen after I create my concoctions…I guess that means I lazy haha 😉 I agree with you tho Kammie – I tend to feel more energized and happy when I drink fresh juice! I have never juiced before! I have juiced only once but would love to try again with something that actually tastes good. I’ve never done a juice cleanse but I’ve always wanted to! Seems like a cool idea. 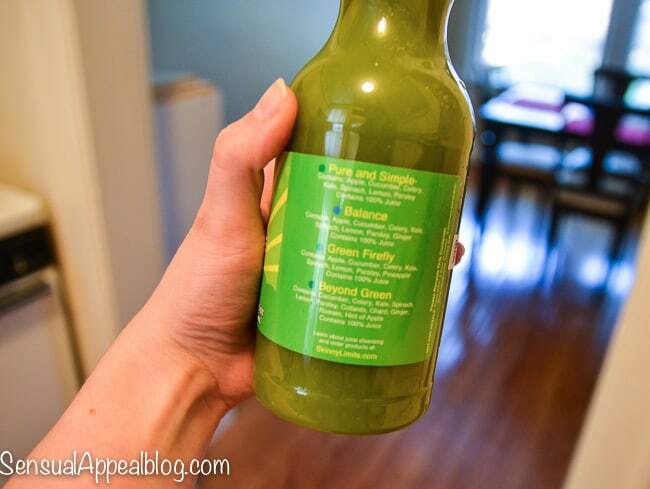 I’ve known the juice cleansing diet for months but I’ve never had the guts to try it. I have been making green smoothies everyday but would love to try the juices! I drink orange juice when I think I’m getting sick. That’s about it. I have never juiced before because I don’t have a blender but I’m really looking forward to see how the juicing helps my digestive health. I used to juice 2-3 times a week before I left for college. Now I’m full of refined sugar! I have never juiced, but I want to try it. Several of my friends do it regularly. A juice fast can make big changes happen! 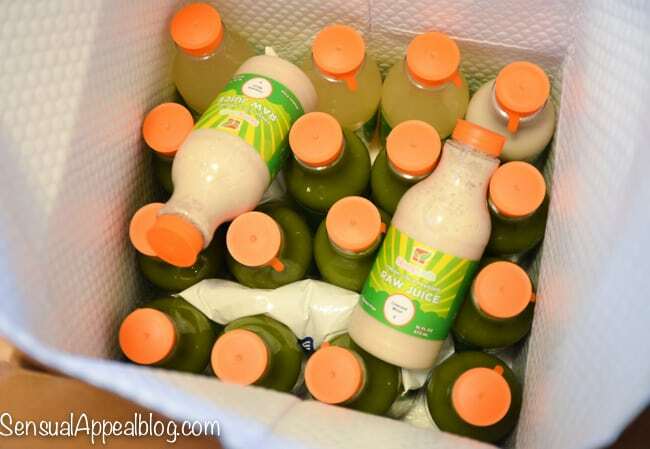 I have never juiced – but my friends rave about it – this looks like a great way to try. i juice about every 6 months! I don’t juice often. I try too but my schedule does not permit. I have wanted to visit skinny limits for a while now. Ooooo I want to do one!!!!! I particularly liked the juice, because the content in rich in vitamins that are beneficial to health. With the juice we have established healthy living which is very useful for our body.